CANDID is researching what ‘smartness’ means for the various types of providers and ‘end users’ of ‘smart’ technologies. The research for Module 1, the part of the project covering ‘User and Design Configurations’, specifically on Smart Energy Technologies and Smart Care Technologies. This part of the CANDID project is led by researchers at University of Edinburgh. A consortium meeting in Bergen on 19 June included presentations and discussions on the responses to consultations received to that date from sent to specialists working in the areas; the tentative outcome being a suggestion need for a new type of typology about users of smart technologies, and even around the term ‘smartness’ itself. Researchers asked a specially selected network of academics and practitioners about the kinds of systems they envisage (such as entire automated homes or energy utilities that use ‘smart’ electricity grids for active network management) and their views on anticipated users (such as citizens, patients and vulnerable groups). A broad selection of experts were consulted: classed as an ‘extended peer review community’, as described by Funtowicz and Ravetz (1993), a Norwegian study asserting that science is something that should be extensive, not just for discussion among colleagues. The ‘extended peer’ community for Module 1 therefore included non-social scientists, including, “members of relevant associations, practitioners working for energy companies, people working for hospitals in the case of smart care, and one developing a smart-care technology in a startup”. From March 2017 to June 2017, invitations were sent to 120 identified peers, in emails that introduced the project, described the connections seen between the project and the peer, and requested contributions to a deadline. At the time of the consortium meeting, 28 responses were received, 15 for smart health and 13 for smart energy. As the module is only part way to completion the research team hasn’t yet formed a firm conclusion, yet the responses and the discussions after the presentation in Bergen suggested a need for a new ‘typology’ of ‘smartness’ in two areas. Firstly, social scientists do not always think beyond the term ‘householder’ when considering who the ‘user’ of technology would be, whereas, in fact, not all users of smart technologies are householders. According to one of the researchers, “householders are important users as they’re the regular people that have to be taken on board if smart meters are to be successful, but the value chain or supply chain in providing smart energy is actually a complex web of interdependencies”. 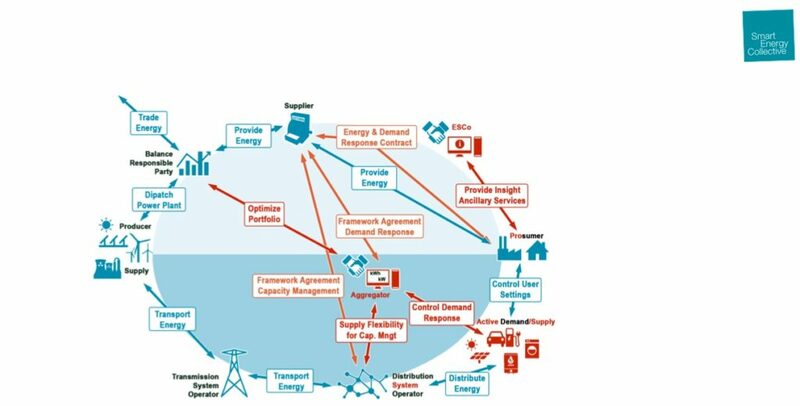 This has complexity been illustrated by the Universal Smart Energy Framework (USEF) interaction model, developed by the Smart Energy Collective. The research team also thought that a typology of users was probably be needed for users of smart care too. It was also thought that the responses pointed to an underlying issue with the concept of ‘smart’, that was generally considered to having no fixed meaning. The term ‘Smart’ technologies suggested a quality of continual improvement; having an intrinsic future-looking quality offering improvement to things or for making them ‘smarter’. 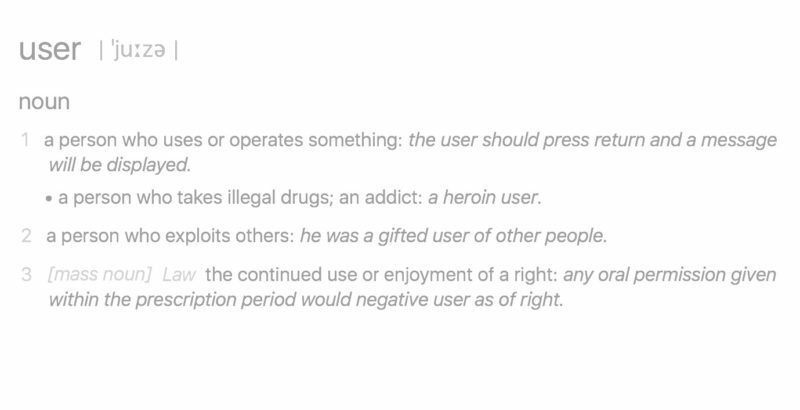 The CANDID module 1 team is now attempting to tackle the concept of the ‘user’ with typologies, but it was also thought interesting that the concept of the user presupposes a type of producer/user relationship that might not be representing what’s actually going on. This implication of a linear relationship, that only describes users and producers neglects the role of public policies that try to accelerate introduction of smart innovations and encouraging roll-out to society at large. Some private initiatives exist, such as that of IBM that has been active in smart cities. However smart energy is a government initiative, linked to realising decarbonisation agendas. So just talking about users and producers misses out, actors that are not explicitly producers or users of smart technologies, such as national governments. Initial comparisons between smart energy and smart health was also thought worthy of further study. Smart energy respondents were reported as more concerned about system-level issues, such as running systems more efficiently and sustainably, and about involving the end users in that, whereas for smart healthcare there appeared to be considerably more emphasis on the individuals that use these technologies. The ‘quantified self’, for example, is an identifiable concept for individual monitoring of health and behaviour. However, most people spoken to thought consumers were meant to gain more control over their energy usage through smart metering but such personalised trends were thought far less evident in the energy sector. Looking ahead to further work in the pipeline the team will be thinking about how the three modules relate to each other, by charting their respective complementarities and disparities. ← Previous Previous post: What is discourse analysis and how can it help understanding for a more societally responsible ‘smart’ new world?